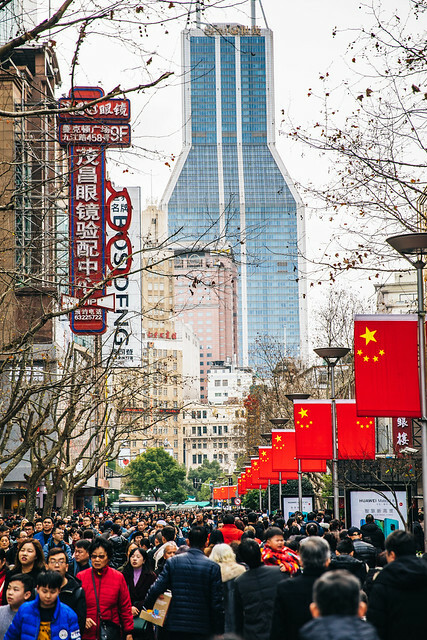 East Nanjing Road is a station on Line 2 and Line 10 of the Shanghai Metro. For more details view the ExploreShanghai interactive Metro map centered on this station. The famous Bund waterfront is a short walk away, head east. 3号口有Apple Store Nanjing East!!! Yes! Head right to Bund. Be warned if you a male alone, you will be approached by many pimps. Also hawkers selling things. Must visit. Only once. It's like Vegas with x5 of people at night/weekends. Easy to get some here. Flying-flashing-toy-helicopters that is. Good stinky Tofu, Take exit 1 and turn right. there's a street vendor at the corner of Tianjin Rd & Shan Xi South Rd. During winter the Bund area is extremely windy. And cold.